The upcoming Newport Fine Art & Sculpture Liquidation is set to offer items from some of the most renowned figures in the art world, past and present. Featuring lithographs done in the manner of modern masters like Marc Chagall and Roy Lichtenstein, along with hundreds of other pieces of artwork, sculpture and jewelry, the auction, taking place at the Newport Auction Company in Costa Mesa, Calif., and online at iCollector.com, is a dream come true for any art appreciator. For collectors of lithographs, checking out the first session of the auction, set to take place Aug. 31, will essentially be a necessity. Aside from the multiple works styled after Chagall and Lichtenstein, there will also be breathtaking examples of the genre based on the work of New York artist Tom Slaughter, and several done in the manner of French master Louis Icart, all of which come with a certificate of authenticity. Those who are more interested in canvas and woodblock paintings will have plenty of options, too. Numerous original oil works by famed American artist Michael Schofield highlight the stable of goods, along with woodblock works by German artist Karl von Piloty and the multi-talented 20th century American Mark David Ritscher. Nineteenth century, Strasburg, Germany-born artist Gustave Dore's Bible illustrations are heavily represented, with such works as "The Crucifix," "The Flagellation" and "Saul and David." Sculpture aficionados will have plenty to choose from, with bronzes by Moscow-born, raised and educated artist Sergey making up much of the available inventory. The jewelry auction will also be a major highlight of the liquidation. There are several ladies' bracelets that are antiques and collectibles, a 14-karat white gold diamond emerald ring and a sapphire necklace to make any woman swoon. If rock-n-roll is more your style, the auction offers a collection of signed guitars that is hard to match. 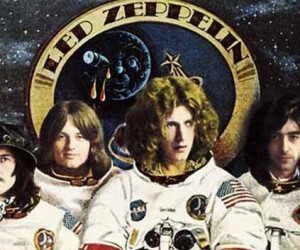 Classic rock bands like Led Zeppelin, The Rolling Stones and Pink Floyd are all represented, with most of the items up for bid being framed and including extras like gold-plated records and stunning photos from the bands' heydays. Not surprisingly, considering the gallery's close proximity to Disneyland, there will also be a large selection of Walt Disney-inspired paintings and lithographs. Created in bright, florid tones, the Disney works are beautiful enough to inspire any lover of the Magical Kingdom. 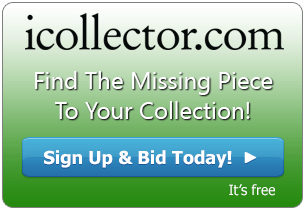 For those who can't make it out to the left coast to attend the auction in person, iCollector.com will provide online bidding starting at 11 a.m. Pacific Standard Time.